Walking In America Remains Dangerous — Especially In Florida : The Two-Way Those who can least afford to get hurt often live in the most dangerous places to walk. A study sees a link between the hazards and median household income and whether people have health insurance. Despite efforts to reduce pedestrian deaths, many cities have become more dangerous for walkers in recent years. 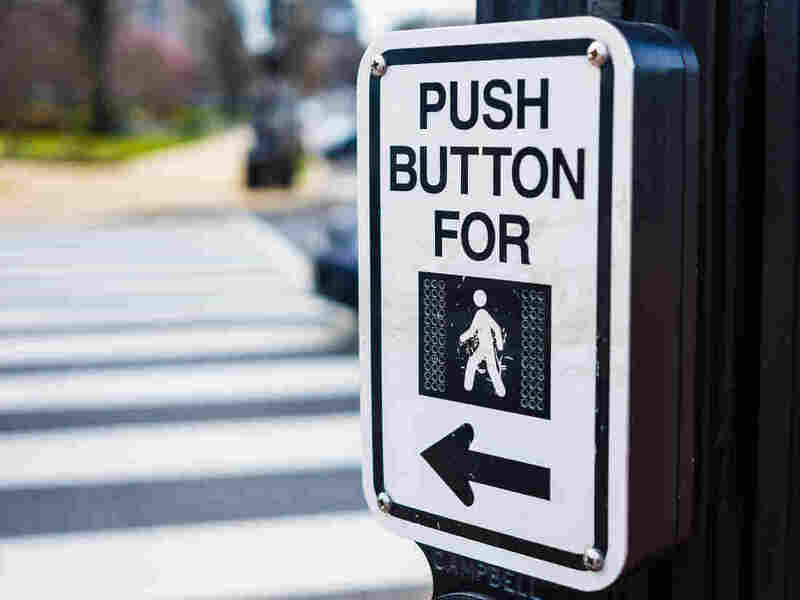 The study by a group called Smart Growth America analyzed data from 2005 to 2014, drawn from a number of federal government sources to calculate a Pedestrian Danger Index. This index makes it possible to compare pedestrian safety in cities of different size, density, and rates of walking. Densely populated cities have high numbers of pedestrian deaths, but also larger populations and much higher rates of walking than elsewhere. Between 2005 and 2014, a total of 46,149 people were struck and killed by cars while walking — an average of 13 people per day. People of color are over-represented among those pedestrians killed. Non-white people are 34.9 percent of the U.S. population, but make up 46.1 percent of pedestrian deaths. In certain places, this disparity is especially stark. In North Dakota, Native Americans are five percent of the population, but account for nearly 38 percent of pedestrian deaths. People 65 years or older are also in particular danger: They are 50 percent more likely than younger people to be killed by a car while walking. Danger to pedestrians is strongly correlated with median household income and the rate of people without health insurance — meaning that those who can least afford to be injured often live in what appear to be the most dangerous places to walk. Smart Growth America points to poor street design as a key factor in the number of pedestrian deaths. Since the introduction of the automobile, American street design has prioritized moving cars quickly, but faster-moving cars are much more dangerous to pedestrians. In recent years, many big cities — including New York, Los Angeles, Chicago, Boston, Washington, and Austin — have launched "vision zero" initiatives that aim to reduce pedestrian deaths to none. But walking remains dangerous in many places: Thirty-one states and the District of Columbia had a rise in the rate of pedestrian deaths since the last version of this study in 2014 — meaning they became more dangerous for walking.